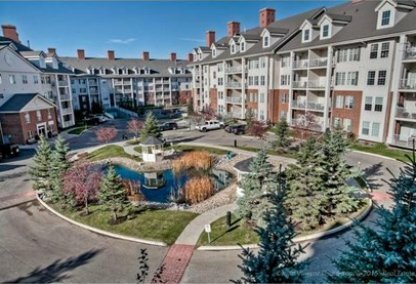 See today's Country Hills Village condos for sale & newest Calgary real estate listings below. Country Hills Village residents enjoy numerous shops, cafes, sports activities and entertainment options all nestled around the Country Hills Village Golf Course and a magnificent sparkling lake. To learn more about Country Hills Village neighbourhood properties for sale or to schedule a guided home tour, connect with your Country Hills Village Calgary real estate team today. Country Hills Village housing market statistics: As of April 25, 2019 there are currently 26 properties for sale in Country Hills Village listed as active, with an average asking price of $247,465. The highest-priced property is $350,000; the lowest priced property can be purchased for $166,900. Country Hills Village neighbourhood listings have an average price of $270 per square foot, based on listings with 2.0 bedrooms, 2.1 baths, and 929 square feet of living space. Searching for the perfect house in Country Hills Village? Contact Justin Havre at RE/MAX First - 403.217.0003, your Calgary Homes neighbourhood real estate team. We are Country Hills Village real estate agents and experts on the newest listings in Country Hills Village Calgary. The unique Country Hills Village is a brand new planned neighbourhood built around a lake and golf course with a resort living atmosphere. 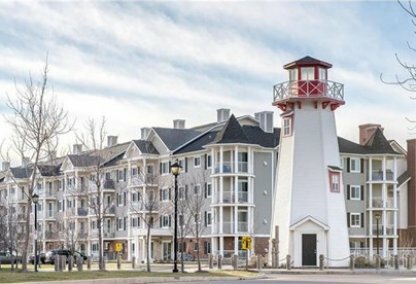 Gorgeous homes for sale include the Country Village Condos, which contain luxurious amenities such as bowling alleys, woodworking shops, hot tubs, swimming pools, and ballrooms. Country Hills Village is represented by the Northern Hills Community Association (NHCA). Country Hills, Panorama Hills, Coventry Hills, and Harvest Hills are also part of the NHCA. The NHCA began in 1998. It currently represents 50,000 people, with 60,000 people expected to live in Northern Hills properties by the time it is completed. In addition to planning and development, the NCHA sponsors numerous community events, including the Annual Business and Services Fair and the Annual Harvest Moon Dance Fundraiser. Within the Country Hills Village community, there are a large number of sports activities for adults and children. 1200 children are members of the soccer program, the largest in Calgary. There are so many new youth joining the Country Hills Villages neighbourhood that they are starting a youth forum for grades 10-12. Cardel Place is an enormous community rec center with skating rinks, gymnasiums, an aquatic centre, climbing wall, and fitness area. The private members-only Country Hills Golf Club has 2 18-hole courses on the property. Local parks include West Nose Creek and Nose Hill. Home buyers have an ever-growing number of shopping areas, business services, and restaurants to choose from. Country Hills Village Shopping Centre and Country Hills Town Centre are two popular options. There are numerous schools in the Country Hills Village community. Simons Valley Elementary and Colonel Irvine Junior High are two public options. Thinking of buying or selling a home in Country Hills Village? Let our local real estate agents help guide you through the purchase of your next home, or to expertly negotiate the sale of your current home. As local Country Hills Village real estate agents, we're experts on the market dynamics unique to the Country Hills Village real estate market. We'll get to work for you today! Contact Justin Havre at RE/MAX First - 403.217.0003 to learn more about buyer or seller representation. Planning to sell your Country Hills Village home? Check out our free home evaluation, where you can instantly price your Calgary home price your Country Hills Village home online, in minutes!